More than 78,116,725 beer lovers served! Hours: Monday-Thursday 5:00pm-midnight, Friday 4:00pm-2:00am, Saturday 11:00am-2:00am, Sunday 11:00am-midnight. Spicy-fruity-peppery. Melons. I don't know what lychee smells like, but I'll bet it smells like this. Medium body, very low carbonation. Sweetish grainy malt background, a little yeasty. Big fruity hop flavor with a hint of pepper. Low-medium bitterness. Hint of smoke. Fairly tasty now — probably real good at the source. Thanks to Nick Spies for bringing this back from China! 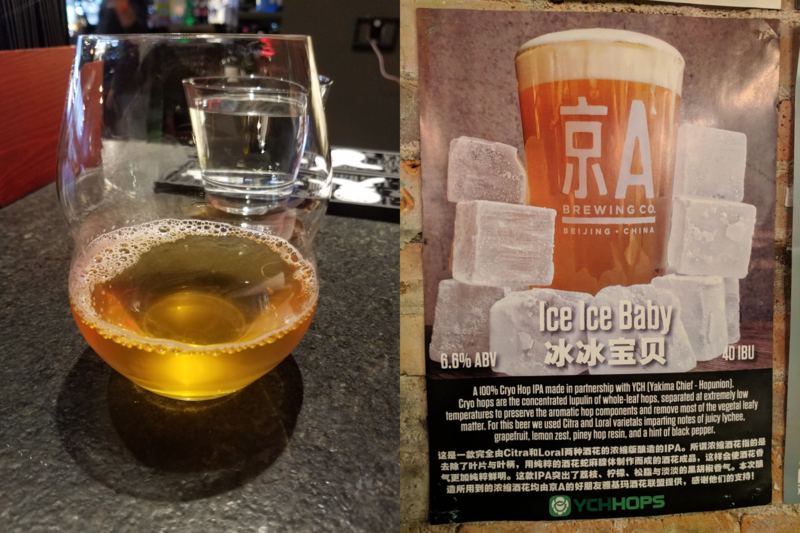 "100% Cryo Dry hop IPA in cooperation with Yakima Chief Hopunion".